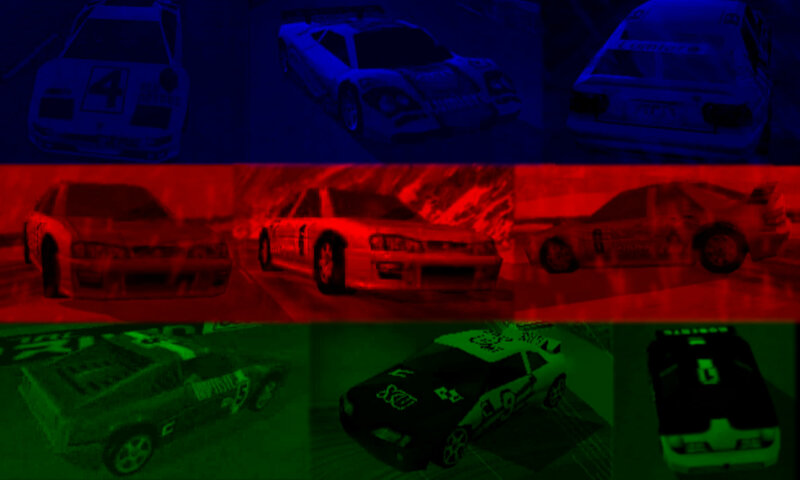 Morgen (#2) is the American team in Grand Tour Racing 98, Total Drivin’, M6 Turbo Racing and Gekisou Grand Racing. Team Morgen enters the Grand Tour circuit from Big Sky, Montana, where there are no speed limits and a six-month winter is commonplace. When the fearless members of the Morgen team are not skiing from the peak of majestic Lone Mountain or white-water rafting down the raging Gallatin river, they can be found careening down precipitous alpine passes. This high-altitude experience has made Morgen the team to beat in Switzerland and a favorite for the Grand Tour Championship. Team Morgen’s cars have fast top speeds and acceleration, but are rather susceptible to attacks. The Morgen Sports Car resembles the Dodge Viper. This car is notorious for its dismal handling and turning speed. It is prone to many attacks, and performs random flips upon hitting the wall. Team Morgen is known to be a successful overtaker. Without a home track, they must start each race at low positions (6th – 7th). AI Morgen Rally tends to suffer from poor handling. While achieving decent to good results in Switzerland, his Scotland display lacks quality. AI Morgen Sports is a solid overtaker in several levels, particularly the early ones. He is notorious for performing Acrobaticar flips, which provide hilarious entertainment for the human player. AI Morgen Indy is a decent overtaker in Moscow & Hong Kong. However, he does not often finish as strongly as Rossi, his HomeTracker counterpart. AI Morgen Dakar is an excellent driver and overtaker. He is programmed to outperform his opponents in many levels, particularly the Egypt ones. AI Morgen Buggy is an average opponent who occasionally makes a strong impression. He is known for his mediocre display at fast speeds, especially when on a bumpy stretch.